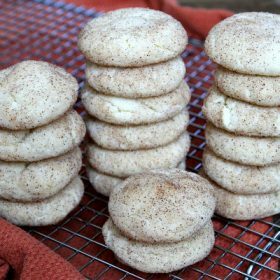 Sour cream isn’t just a topping! 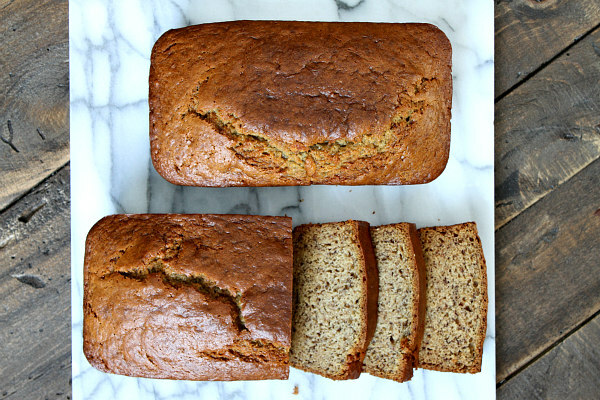 It really helped with the consistency of the banana bread. 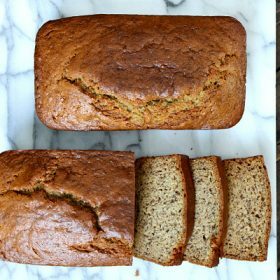 I noticed that this bread is smoother AND more moist than other banana breads I have made in the past. To be completely honest, I wasn’t sure if the sour cream would fit in with the rest of the ingredients. But in this case, the gamble definitely paid off. This was some freaking fantastic banana bread. (Past tense because I stuffed myself with these loafs… Yes, they were/are that good. 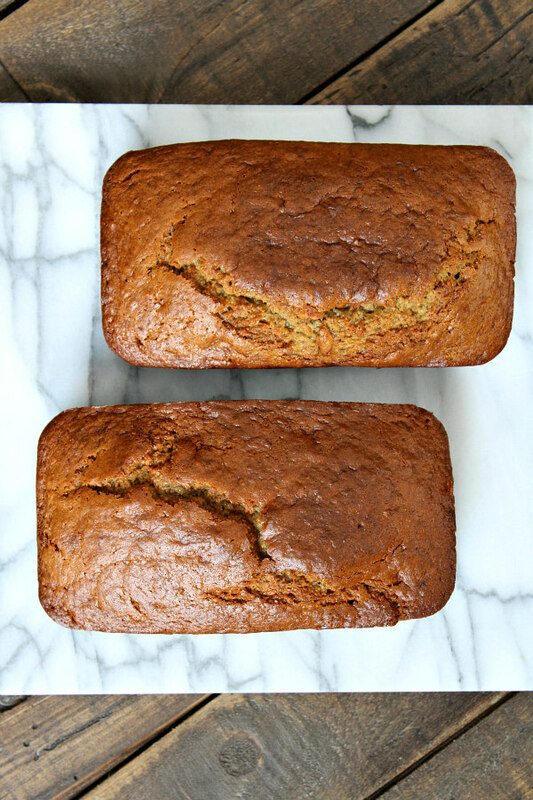 Sour Cream Banana Bread is one interesting recipe (in a good way), but boy is it tasty!! Very simple to make, too. I had some old friends come into town and test out this new recipe and they each gave it a double thumbs-up, which is always a good sign. 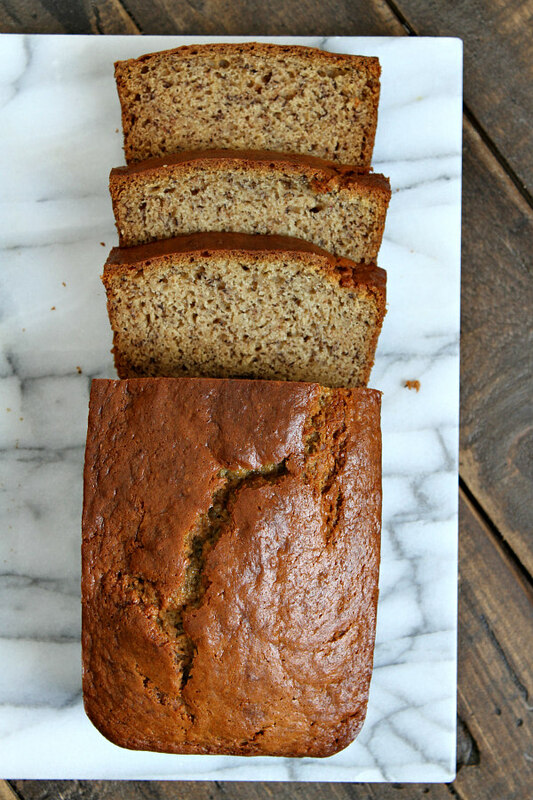 Enjoy this Sour Cream Banana Bread recipe and let me know if you decide to make it! The final product is absolutely delicious!!! Preheat the oven to 350 degrees. Spray three 8x5-inch loaf pans with nonstick spray. Use an electric mixer to combine the butter and sugar in a large bowl. 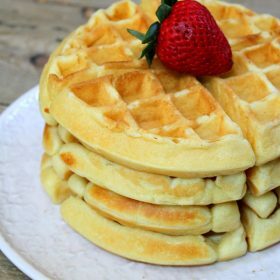 Blend in the eggs, banana, sour cream and vanilla. In a separate bowl, whisk together the flour, baking soda, cinnamon and salt. Add to the wet ingredients and mix until incorporated. Divide the batter between the prepared pans. Bake for 50 to 60 minutes, or until a toothpick inserted into the center comes out clean. Watch the tops while baking, and place a piece of foil on top of the loaves if they are getting too brown. Let the loaves cool a bit, then turn out onto a rack to cool completely. I’m going to buy 2 extra loaf pans just so I can make this recipe.